An amazing accessory for the fashionable man! 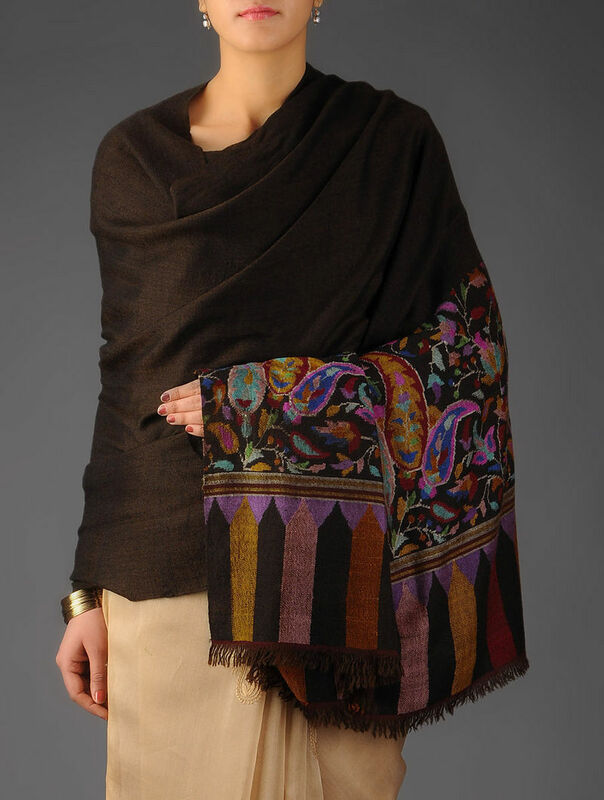 Made from pure handspun Pashmina, this exquisite, soft, fine, dark brown color mens Kashmir Kani Jamawar shawl with a lovely and very large floral and paisley design border was hand woven stitch by stitch. This elegant, new, Dorukha (reversible) Border Kani has a beautiful multicolor design with colours that sparkle. This shawl took 7 months to weave.